The Pattern Recognition & Bioinformatics Section is an organizational section focussed on pattern recognition and its applications to computer vision and bioinformatics. Pattern recognition is concerned with processing raw measurement data by a computer to arrive at a prediction, which can then be used to formulate a decision or action to take. Problems to which pattern recognition are applied have in common that they are too complex to model explicitly, thus requiring algorithms to learn parameters in generic models from limited sets of examples. Pattern recognition practice is firmly focused on real-world, sensor-based applications. This places it at the core of the current process of scientific discovery, by allowing researchers to derive regularities in large amounts of data in areas as diverse as physics, biology and geology, but also psychology and neuroscience. Pattern recognition algorithms also find application in industrial and consumer settings, allowing machines to sense the environment and to decide on actions or support human decision making. The PRB section studies both aspects in three different research labs. One research lab (the pattern recognition laboratory) focuses on the foundations of pattern recognition: representation and generalization, in which new ways of describing objects and learning from examples are studied. Three other research labs (the vision lab, the bioinformatics lab and the socially perceptive computing lab) apply these techniques in the domains of images, molecular biology and behaviour. The Pattern Recognition Laboratory is concerned with the classical trinity of representation, generalization, and evaluation: the core elements of every pattern recognition system. The principal focus is on developing tools and theories and gaining knowledge and understanding applicable to a broad range of general problems. The Computer Vision Lab does research on automatic analysis of visual data such as images, videos, and 3D/4D visual sensors. We operate on the threshold of signal processing and machine learning focusing on deep learning in particular. Example applications include object and action recognition, human behavior analysis, medical imaging. 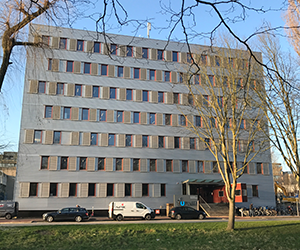 The Delft Bioinformatics Lab creates novel computational tools to analyse genomic data to gain new insights in biology. We have a strong machine learning approach and a profound interest in new biomolecular technologies. Our applications areas cover medicine, biotechnology and plant research. 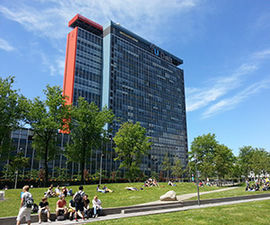 We teach bioinformatics courses across several programs within TU Delft and nationally. The Socially Perceptive Computing Lab investigates novel methods for the automated interpretation of social and affective behaviour. We develop automated methods to analyse social signals from non-verbal behaviour from sensing modalities such as cameras, microphones, and wearable sensors. Application areas include cohesion detection, affect recognition, group behaviour analysis, and personality recognition.